This is another Christian EP I bought in Switzerland. 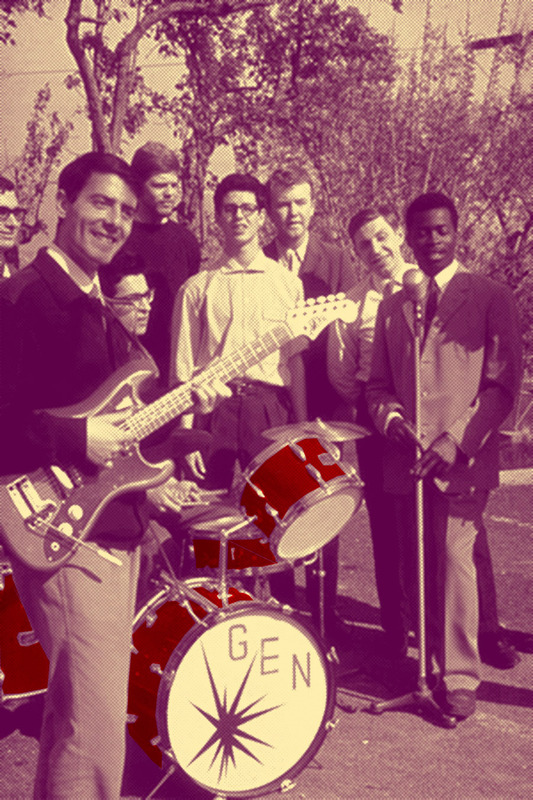 The group named themselves Gen Rosso (Red Generation) after a red drum set they were given by Chiara Lubich in 1966. Lubich founded the Catholic Focolare Movement in Italy in 1943. It is an international organization that promotes the ideals of unity and universal brotherhood. 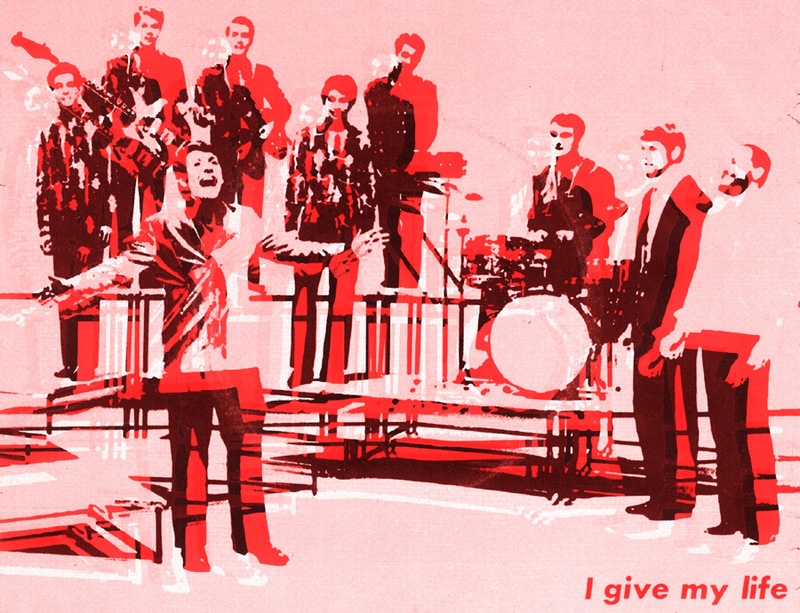 Since 1966 two hundred people have played in Gen Rosso. Today the group consists of 18 musicians from 10 countries. Of course today they´re a rock-pop-funky-rap-latino-boygroup. The psychedelic design of this record sleeve was promising but none of the tracks actually are psychedelic. This song has a nice dramatic vibe though and great haunting lyrics. If I can help someone as I pass along,/ Cheer someone with a word or song,/ Show someone who´s travelling wrong/ My living would not be in vain! If I can live the way every Christian ought,/ Forgetting myself and the problems I´ve got,/ Living for the others the words he has brought,/ My living would not be in vain! I know that day will come/ When it´s time to leave,/ To leave this world with its many sorrows behind. But friends when I leave/ I don´t want you`ll say:/That man left without even paying his way. No, I want to give my share,/ I want to pay the price with my life. and I´ll pay the price with my life! 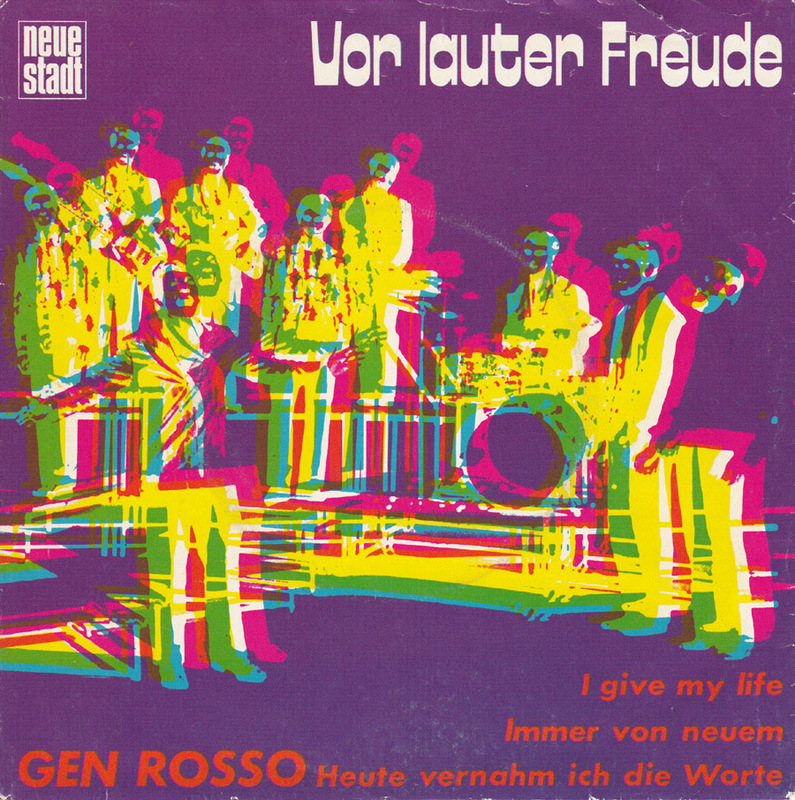 Gen Rosso is not a Switzerland-based “band”. It has (always) been more a collective, fueled by the universal character which the experience and vocation of Chiara Lubich brought out: to restore an eartlhy unity as it was actually practiced by early christian communities, in a modern time. Of course, in an eschatologic perspective, to avoid the illusion of stopping themselves to earthly ideals. The actual title of this song is “Pay with my Life” (thanks for it, it would be great to have the others as well, and it was included later on at least in two albums. 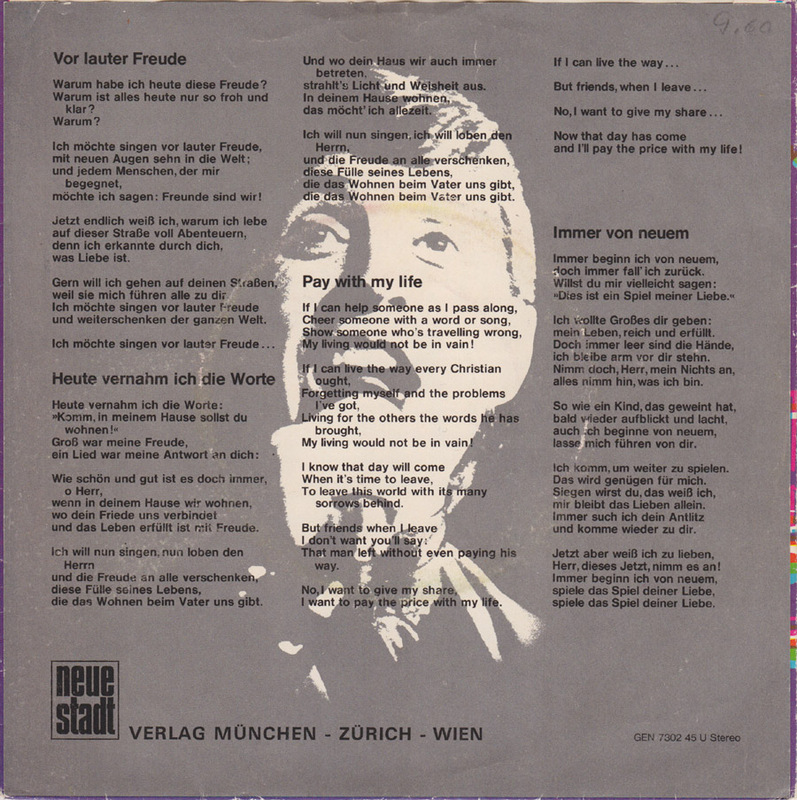 The first is “Chante le vrai visage the notre terre” (1973), a French release, the other is “Das Gesicht unserer Erde”, a German album (which I think is also live), which stands between “Venite alla festa” (their 1973 studio album) and “Senza Frontiere” (the 1975 studio album). As you see, the international form of the releases, reflects this universal vocation. 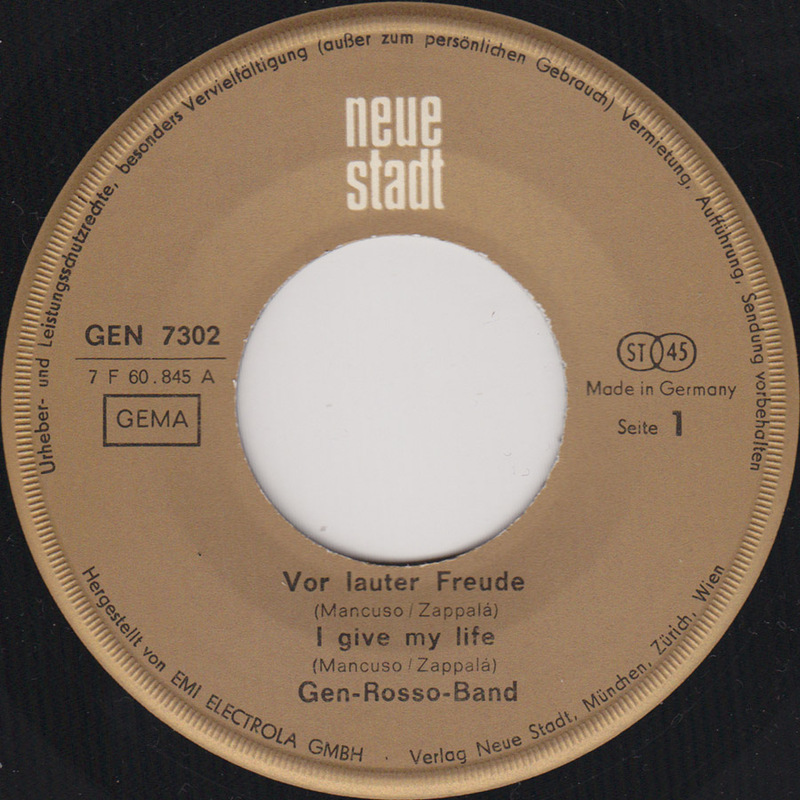 Also, as you say, in recent years Gen Rosso took on a more marked “poppy” approach (but it’s been a development since they steered towards the “rock opera” form in the early 1980s), but this is just one of the many sides of the coin, as they always evolved and recent years showed the emergence of a new model, which took the form of school (and generally youth) workshops, of which the most interesting is the “Stark Ohne Gewalt (Strong Without Force) project, promoted in Germany since 2006, which marked the beginning of activities steered toward a cultivation of human respect and refusal of violence among youth people, as a basis for any dialogue, albeit founded in catholic faith magisterial teaching.